How do I prepare for vision correction surgery? What happens during the vision correction surgical procedure? What happens after the vision correction surgical procedure? What are the next steps after vision correction surgery? When should I seek medical care for complications of vision correction surgery? Refractive surgery for vision correction has made tremendous advances over the last half century. One of the earliest methods involved the creation of deep incisions in the cornea to result in intentional weakening and shape alteration for corrective purposes. 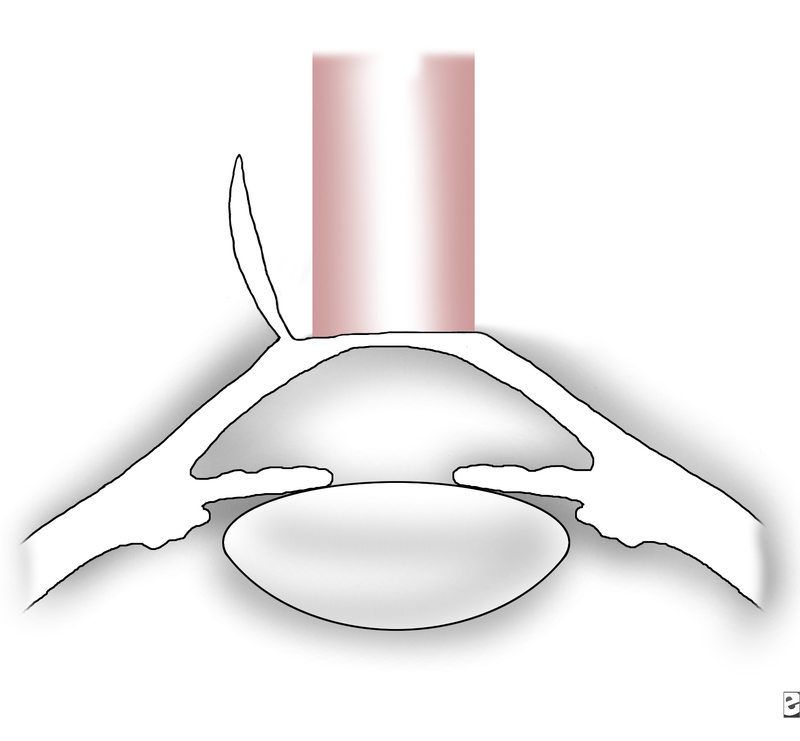 Radial keratotomy, or RK, was one of the first incisional refractive procedures. The concept was first used more than 50 years ago by Sato at Juntendo University in Japan. The original procedure involving posterior internal incisions, however, didn't work for most people, and many patients suffered from bullous keratopathy in later years. RK was subsequently modified to avoid direct damage to the corneal tissues and evolved as the earliest form of vision correction surgery. It was perfected in the 1970s by the Russian ophthalmologist Fyodorov and was first performed in the United States in 1978. Today, many different options exist to help the majority of people who wear glasses or contact lenses reduce or eliminate their dependence on their corrective lenses. In almost all cases, refractive surgery is elective and cosmetic. Vision correction surgery can benefit people with myopia (nearsightedness), hyperopia (farsightedness), and astigmatism, and in the future, presbyopia. Presbyopia (Greek word presbys (π&rho;?σβυς), meaning "old person") describes the condition in which the eye exhibits a progressively diminished ability to focus on near objects with age. Vision correction surgery will usually not benefit people with presbyopia (the inability to see objects up close). This condition affects all people older than 40-45 years of age and is corrected by bifocal glasses or bifocal contact lenses. In presbyopia, the lens loses its ability to change shape and thus focus the eye on objects up close. Presbyopia is not a problem of the eye being too long or too short. Research is ongoing to develop corrective surgical procedures for presbyopia, but the technique has not yet been established. Who is a candidate for laser vision correction? Laser vision correction can be used to treat myopia, myopia with astigmatism, hyperopia, hyperopia with astigmatism, or mixed astigmatism. Not every person requesting laser vision correction is a candidate for the surgery. Factors, such as very high refractive errors (prescriptions), certain ocular diseases, certain medical diseases, and previous history of ocular surgery may prevent a person from being a candidate for refractive surgery. Criteria for laser vision correction: The following are general criteria which may vary according to the laser machine used and with modifications of criteria which could depend upon institutional or the individual surgeon's preferences. stable refraction for at least one year, meaning that the individual's glass or contact lens prescription has not changed. Some surgeon's may require waiting for lesser periods, such as several weeks. As with any surgical procedure, complications may occur. In laser vision corrections, complications may occur during the procedure (intraoperatively) or during the healing period following the procedure (postoperatively). Your ophthalmologist should discuss the possible risks before the procedure so that you understand the procedure and that any concerns you may have can be addressed. Complications during the procedure mainly occur during the creation of the flap with the microkeratome. These include incomplete flaps, irregular or small flaps, buttonholes, decentered flaps, free flaps, or penetration of the eye. When these complications occur during surgery, the procedure is stopped, and the flap is put back in place. The flap is then allowed to heal for three to six months. After this healing period, the procedure may be repeated and the flap may be recut. In some procedures, with a very thin cornea, it is possible to cut through the cornea into the eye. In this situation, the operation is also halted until healing takes place. During this time, you must be carefully monitored to make sure that a serious infection does not occur. Early complications after the procedure include dislodged flaps and flap folds. Folds can be described as macrofolds and microfolds, which can cause visual distortion. 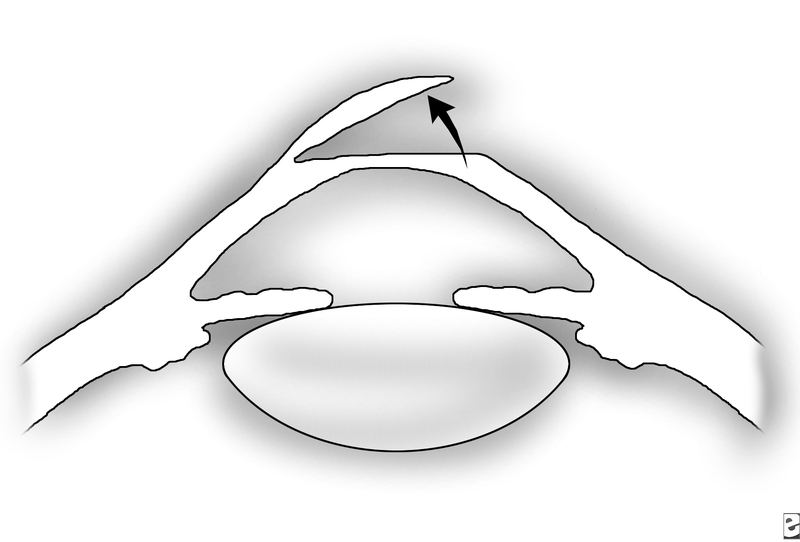 Dislodged flaps and macrofolds require that the flap be lifted and repositioned, thus eliminating the folds. Other complications include interface debris (debris between the flap and the lasered cornea), epithelial downgrowth into the flap, epithelial defects, or corneal abrasions. Infection of the cornea (infectious keratitis) and inflammation can also occur. Infections are rare but very serious if they do occur. Refractive complications include undercorrections or overcorrections, which may require additional laser correction (an enhancement procedure) and decentered laser ablation, which may require retreatment or the use of a hard contact lens. Laser vision correction could also induce astigmatism. Halos and glare, especially at night, may occur after the procedure. They are common after the procedure but usually go away, but they sometimes can permanently affect the quality of vision. Regression of the procedure may occur and would require additional laser treatment or the use of glasses or contact lenses, especially in cases with higher astigmatism and hyperopia. After the surgery, dry eye symptoms are the most common complaint. Dry eyes following LASIK may occur due to a decrease in corneal sensation because the microkeratome cuts through the superficial corneal nerves. This may result in a decreased blink rate and, thus, a decrease in rewetting of the eye. Most people notice an improvement with the use of artificial tear lubrication and with time. Occasionally, a patient will need to be treated with punctal plugs to alleviate the dry eye symptoms. 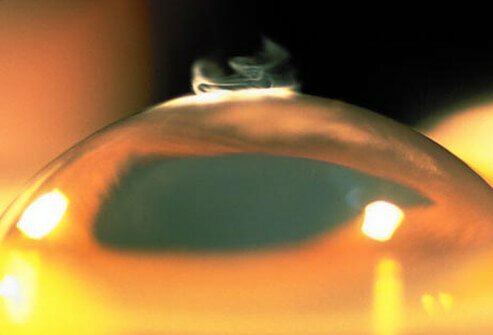 Diffuse lamellar keratitis is an inflammatory condition that can occur with the LASIK procedure. Its cause is unknown. It occurs in about 0.2% of LASIK procedures. If this condition is recognized and treated promptly, it usually resolves without further complications. Left untreated, it can cause a loss of vision. Every person who is considering LASIK must undergo a complete eye examination prior to surgery. During this examination, the corneal thickness will be measured with a device called a pachymeter. Adequate corneal tissue remaining after the procedure is extremely important. If your cornea is too thin, LASIK may not be able to treat the refractive error without thinning the cornea too far, inducing a complication. A map of the corneal surface, called topography, is performed to rule out any corneal problems that may lead to a poor result with the surgery, such as keratoconus. The size of the pupils in light and dark will be measured. People with large pupil diameters in a dimly lit room may not be good candidates for the LASIK procedure. The refractive error will be checked prior to dilation of your pupils and again after dilation. This helps ensure that the refractive error is stable. A glaucoma test and a thorough retinal examination are also performed at this visit. If you wear contact lenses (soft or hard), you will be asked to leave them out for a period of time prior to the exam, which may vary among individual doctors. Contact lenses may distort the surface of the eye and interfere with the measurements being taken prior to surgery. The cornea of the eye, and the corrective prescription, should be stable. After you have undergone a thorough examination and LASIK (or another type of refractive surgery) has been determined to be appropriate for you, the procedure is performed on an outpatient basis. The procedure takes about 15 minutes to perform for each eye. Both eyes are usually done during the same procedure, although there may be times when you or the surgeon prefers to have each eye done at different times. Prior to the procedure, most people will be given medication for relaxation. 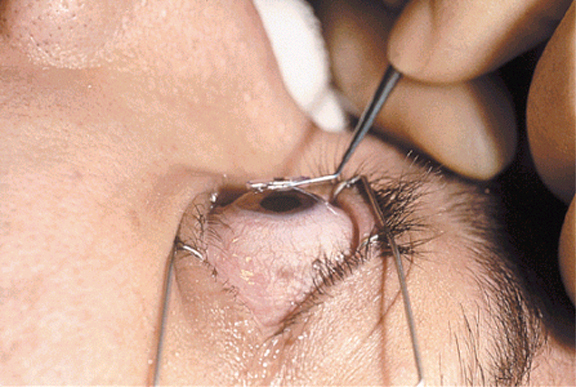 The eyes are anesthetized with eyedrops prior to the procedure. The eyes are cleansed, and drapes are applied to the eyelids to cover the eyelashes so they cannot interfere with the procedure. The eyelids are held open with an eyelid retractor. Once the preparations are complete and you are properly positioned under the laser, the surgeon will use an instrument called a microkeratome or a femtosecond laser to create the LASIK flap. Initially, a small mark is placed on the cornea to help realign the flap at the completion of the procedure. 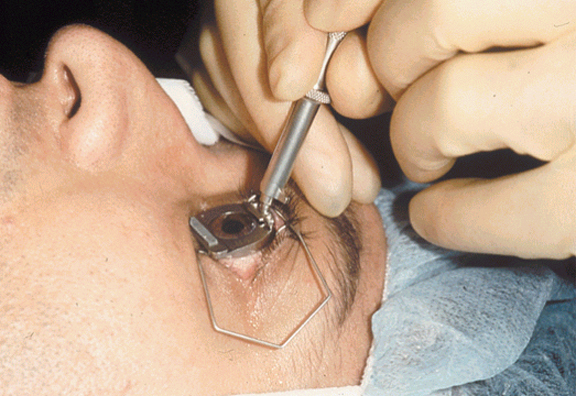 A suction ring is applied to the eye, which may cause a pressure sensation. The microkeratome or femtosecond laser creates a flap in the anterior cornea at about 20%-25% of its depth. The flap is then retracted back, exposing the corneal stroma or inner layer of the cornea. Next, the laser is used to resculpt the corneal surface. 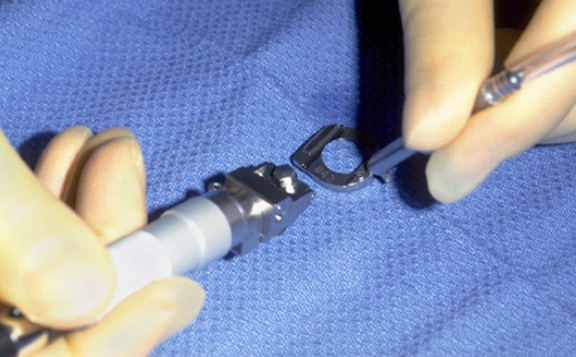 The laser portion of the surgery can take several seconds to several minutes to complete. During this time, you are asked to look (stare) at a target, such as a flashing red light or a flashing green light. The laser itself is invisible to you, although you will hear a loud tapping sound when the laser is firing. In myopic corrections, the laser works to flatten the central cornea. This allows light rays to focus onto the retina, reducing myopia. In hyperopic corrections, the laser is used in the peripheral cornea, causing a steepening of the central cornea, which allows better focusing of light rays onto the cornea. Once the laser portion of the procedure is completed, the flap is returned to its original position on the cornea. Through the natural characteristics of the cornea, the flap will seal itself in place after a few minutes. 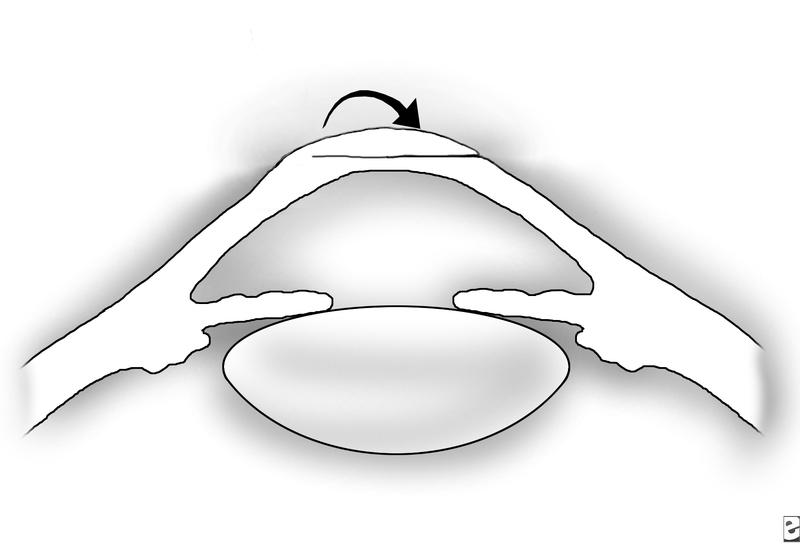 Usually, the flap is allowed to dry for approximately three minutes prior to removing the lid retractor. At the end of the procedure, antibiotic and antiinflammatory drops are put into the eyes. Usually, the full refractive error is corrected in both eyes, but some people desire a monovision correction. In this instance, one eye is corrected for distance, and the other eye is corrected for near vision. This type of correction may reduce the need for reading glasses. As with any surgery, expect some discomfort following laser refractive surgery. Immediately following the procedure, antibiotic drops and steroid drops will be placed into your eyes. The flap will be checked under magnification in the office to be sure it is smooth and wrinkle-free with no debris under it. Finally, protective eyewear, such as goggles or shields, will be placed on your eyes to protect them. With the goggles in place, you will be less likely to rub your eyes, which may cause dislocation of the flap. The hours following the procedure can be more uncomfortable than the procedure itself. Immediately after surgery, you may experience just a small amount of scratchiness of your eyes or you may be very uncomfortable due to tearing and burning. In general, your eyes will be scratchy and light sensitive to varying degrees. They may be teary, have a burning sensation, and feel extremely irritated. These symptoms usually go away in about six hours. In some instances, a corneal abrasion may occur when the flap is created. A corneal abrasion will make your eye very uncomfortable, to the point that it may be difficult to open your eye. Your surgeon may encourage you to take a nap after the procedure. Taking a nap will help you through the most uncomfortable part of the healing with minimal discomfort. Immediately after the surgery, most people will notice an improvement in their uncorrected visual acuity. The vision may appear rather smoky, as if you are looking through a smoke-filled room. The vision will stabilize in about one week or up to three months following surgery. Follow-up appointments will vary according to the individual surgeon. In some instances, a comanaging eye-care practitioner may assist with the postoperative follow-up care. In general, you will be seen the day after surgery to ensure that the flap is smooth, with no striae or wrinkles, and to rule out any signs of infection or inflammation, such as DLK (diffuse lamellar keratitis, a type of clouding of the cornea). At this point, you will be kept on eyedrops. Drops may include an antibiotic drop and a steroid drop, used four times a day. The drops are continued for one week following surgery after which you are seen again in the office. Usually, the vision is near 20/20 on the first visit and then you can resume your normal schedule. Follow-up visits are typically scheduled for one week, one month, three months, six months, and one year after surgery. You will be advised to avoid using eye makeup for at least one week after surgery. Activities such as swimming are discouraged for about two weeks after surgery. Most people who undergo laser vision correction experience very little discomfort following the procedure and are happy with their results. If you have any questions or concerns, contact your surgeon. redness with or without discharge. If you experience any of these warning signs, you should immediately contact your doctor, day or night. Don't put this off to see if it will get better over the next few days. In general, ophthalmologists prefer that, if there are any concerns, you call the office directly, day or night, rather than go to a hospital's emergency department because evaluation of the eye after surgery requires specialized equipment and knowledge, which are usually not available in the emergency department. If there is sudden, severe pain or loss of vision, call your ophthalmologist. If the doctor is not available, then go to the emergency department. In general, there will be an ophthalmologist on call there if necessary. 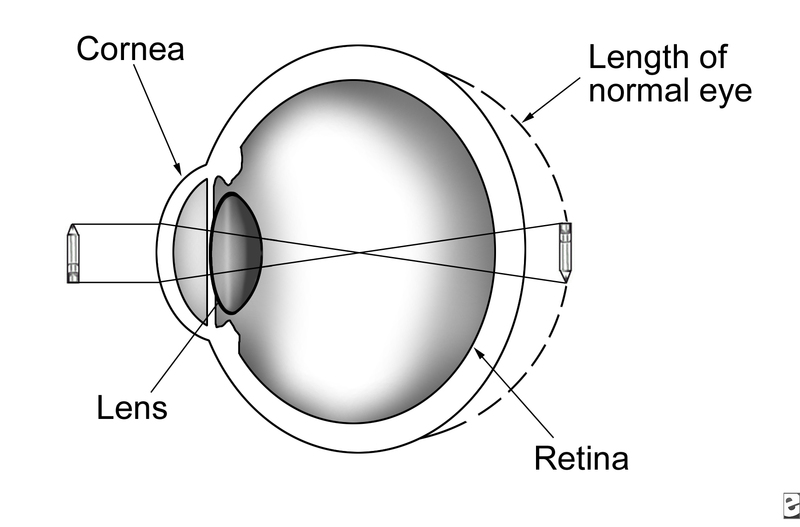 Diagram of an eye with myopia or nearsightedness. Click to view larger image. 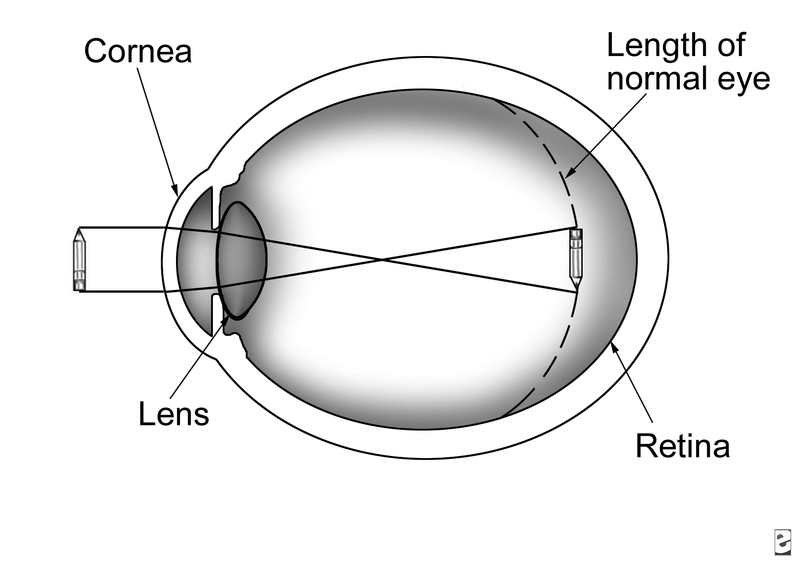 Diagram of an eye with hyperopia or farsightedness. Click to view larger image. Microkeratome. Click to view larger image. Marking the cornea prior to making the LASIK flap. Click to view larger image. 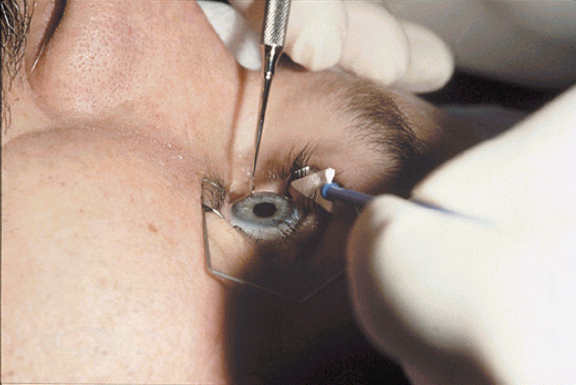 Applying the suction ring of the keratome to create the LASIK flap. Click to view larger image. Lifting the LASIK flap. Click to view larger image. 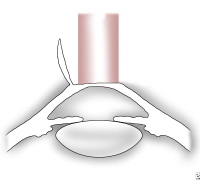 Graphic of the LASIK flap. Click to view larger image. Graphic of the laser resculpting the cornea. Click to view larger image. Replacing the LASIK flap. Click to view larger image.